At the season-opening race weekend in St. Petersburg, fans of the Verizon IndyCar Series got to know each of the six eligible Sunoco Rookie of the Year candidates on hand through various moments in the spotlight. Never short on drama, the rookies provided impact on the race in a variety of ways. In Friday practice, A.J. Foyt Racing Brazilian Matheus Leist topped the timesheets in session one while Schmidt Peterson Motorsports pilot Robert Wickens placed in the top ten in each of the two tests. For Saturday morning practice, Leist was once again in the top five and this time he was joined by British driver Jordan King of Ed Carpenter Racing. A sign of things to come, King would perform superbly in qualifications for the race by making the Firestone Fast Six and setting the track record in the second round of qualifying. King would slot himself 4th on the grid while Leist continued his quick pace by qualifying 3rd. Saturday’s show would belong to Wickens, though, as the Canadian driver made a splash by qualifying on the pole with a final quick lap of 61.6643s (105.085mph). On race day, Wickens would be the dominant force to be reckoned with. He fought worthy veteran competitors such as Alexander Rossi and Sebastien Bourdais en route to leading 69 laps. After a quick start, King led five laps early before he had a tire go down on lap 33 that coincided with wall contact and a bent suspension piece. Although he showed speed and promise, King would finish 21st. Through the first 14 laps, Foyt’s rookie Leist held his top-five starting position and was running in 4th place when he began to face mechanical issues. Forced to pit road, the No. 4 team spent 10 laps diagnosing and fixing the rookie’s issue before sending him on his way. Upon leaving pit road, Leist was penalized for leaving his box with equipment attached and needed to serve a drive through penalty. It was when the Brazilian was leaving pit road and rejoining the track that he lost control of his Chevrolet machine and pounded the wall, ending his day prematurely with a last place finish in 24th. Other rookies Zach Veach and Zachary Claman de Melo had uneventful, quiet days in finishing 16th and 17th respectively. Juncos Racing driver Rene Binder did make some noise, but it wasn’t until lap 100 when he brought out a late race caution by nosediving his Chevrolet into the barrier. For the Schmidt Peterson Racing rookie, he would see his day end in a plume of his own smoke as Rossi made a final restart charge to the inside of turn one that resulted in contact and Wickens’ 18th place finish. Can Robert Wickens overcome the heartbreak at St. Pete to turn in another strong weekend in Phoenix? What does this all mean? For starters, this is going to be an entertaining group to follow throughout the year. This weekend, the series travels to the newly re-branded ISM Raceway in Arizona for the Desert Diamond West Valley Casino Phoenix Grand Prix for the first oval race of the year. That means King will be absent from the track with team boss Ed Carpenter taking his place in the No. 20 Chevrolet. Additionally, Juncos’ Rene Binder will be replaced with 2017 Indy Lights champion Kyle Kaiser in Phoenix as he makes his own Verizon IndyCar Series debut. That leaves most of the attention to fall on the duo of Leist and Wickens. In February at the annual ISM Raceway “Prix View” test, Leist and his A.J. Foyt Racing crew were notably strong throughout the two days of practice. Scattered in between the Brazilian’s quick laps, though, were four incidents that resulted in either spins or contact with the wall. Never short on excitement, it will be interesting to see if the 19-year-old can reign things in a bit and run on the edge without overstepping the limit. Wickens will certainly garner attention this weekend following the fiery start to his season in what could be a rookie of the year campaign. In the combined testing results from February, Wickens posted a mild time of 19.7495s on the 1.022-mile oval that was 16th quickest. 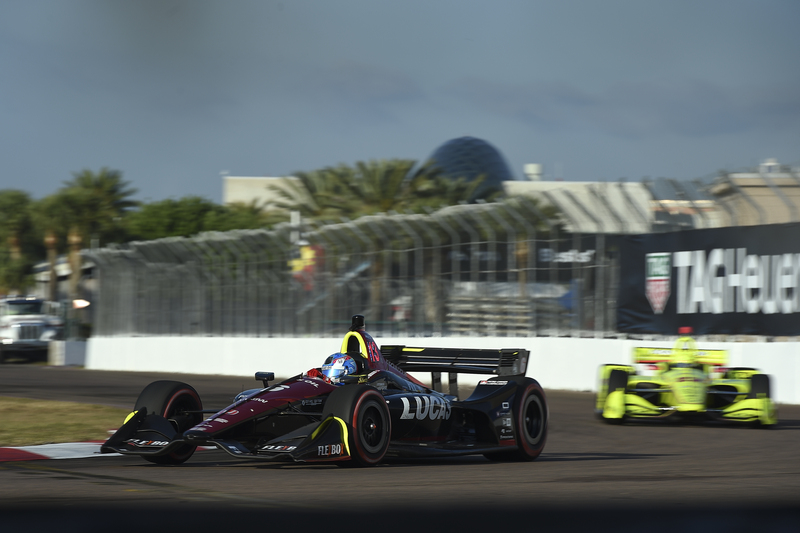 Following his St. Petersburg performance, the bar has undoubtedly been raised and expectations may be a bit too high leading into Wickens’ first oval race. 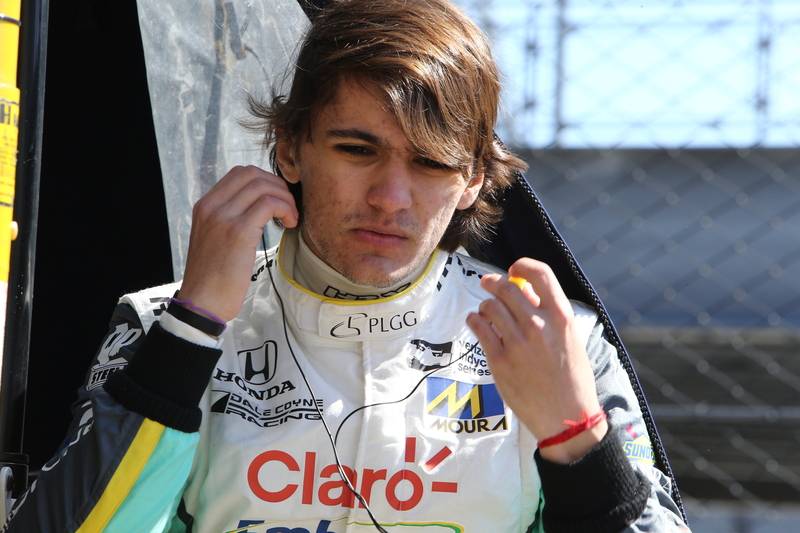 Last but not least, Dale Coyne Racing will let Pietro Fittipaldi loose for the first time this season as he steps in for Zachary Claman de Melo for his own maiden oval start. Fittipaldi will cut his teeth at ISM Raceway as a tune for the 102nd Indianapolis 500 in May, and showed some promise in his own right during the February test in the desert. With each of those drivers to consider and the expected gradual improvement of Veach in Andretti Autosport equipment, it is very likely that rookies once again lead the headlines (for better or worse) this weekend in Phoenix. If anything, they have proven to be an exciting bunch with talent and bravery to back it up. Only time will tell if those things will mix well together while the cream rises to the top.